We provide flexible, tailored renewable energy systems to meet customer goals. With traditional energy infrastructure costs fluctuating and consumers increasingly preferring brands that use renewable energy, companies are challenged to procure clean, carbon-free energy to power their operations. As a pioneering renewable energy developer, Community Energy, Inc. delivers competitive and reliable clean energy systems to commercial customers. 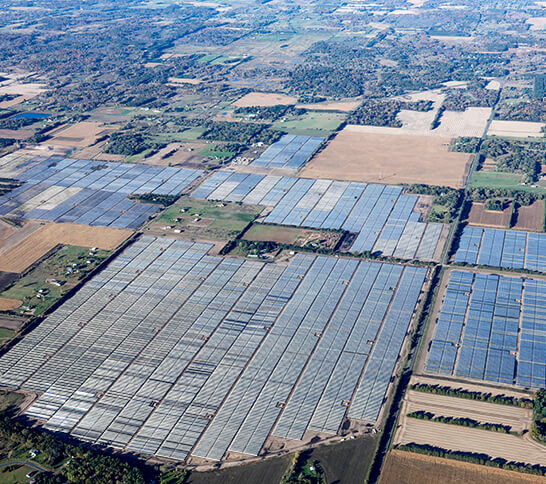 Our 20-year track record of success gives us a keen understanding of how to structure power purchase agreements (PPAs) that creatively and cost-effectively meet company clean energy and sustainability goals. Confirm your brand as a climate-change leader. Eliminate energy price volatility with electricity price fixed for 15-30 years. Develop new, clean energy projects in your name with no capital commitment. As your partner in clean energy, Community Energy leverages our expertise and trustworthy history of delivering reliable, cost effective renewable energy services to meet your sustainability and financial goals.